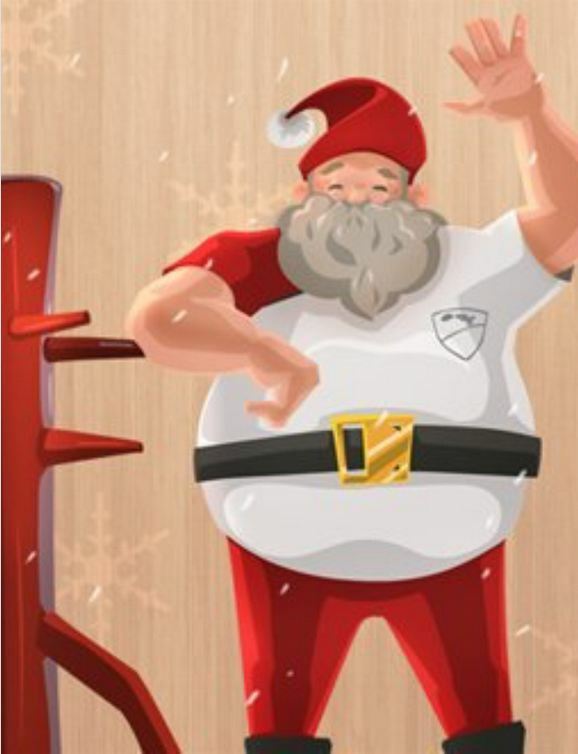 Wing Tsun is a traditional system of Kung Fu that specialises in effective self-defence without relying on strength or size. 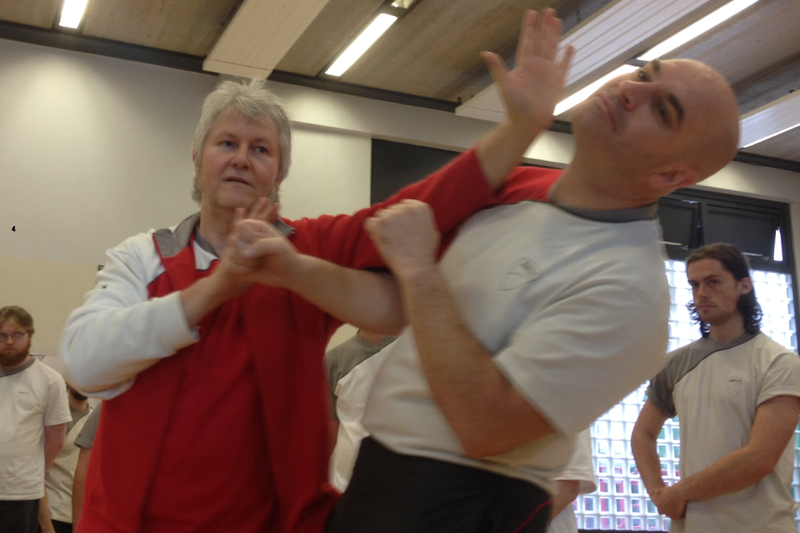 Wing Tsun is taught in more than 64 countries worldwide by the IWTA and is headed in Ireland by Dai-Sifu Rainer Tausend 7th PG. Classes are taught in various locations throughout Ireland and beginners are always welcome. 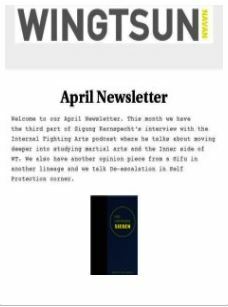 For 2019 the Navan School have introduced a monthly newsletter. The Autumn Seminars took place over the weekend of 8th and 9th of September. After a brief hiatus the Maynooth school wil be reopening on Sunday April 15th with training from 11am to 1pm. 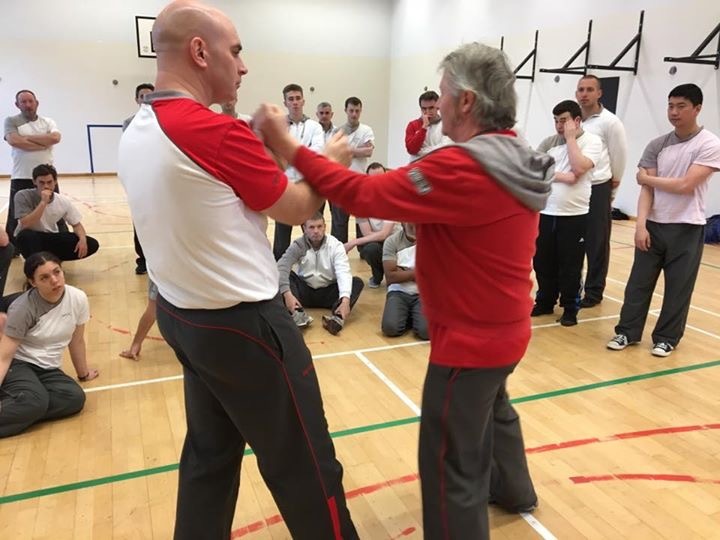 The Navan school were delighted to welcome Sifu Aidan Canavan for a training session in December 2017. The Autumn Seminars took place over the weekend of 16th and 17th of September. 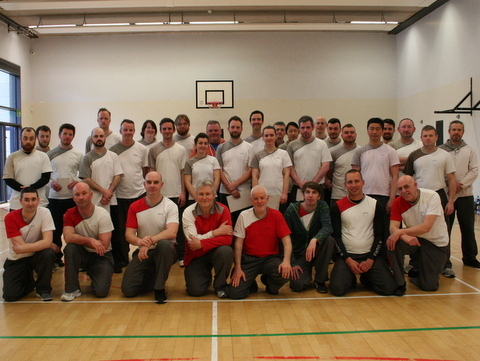 The Spring Seminars took place over the weekend of 22nd and 23rd of April. 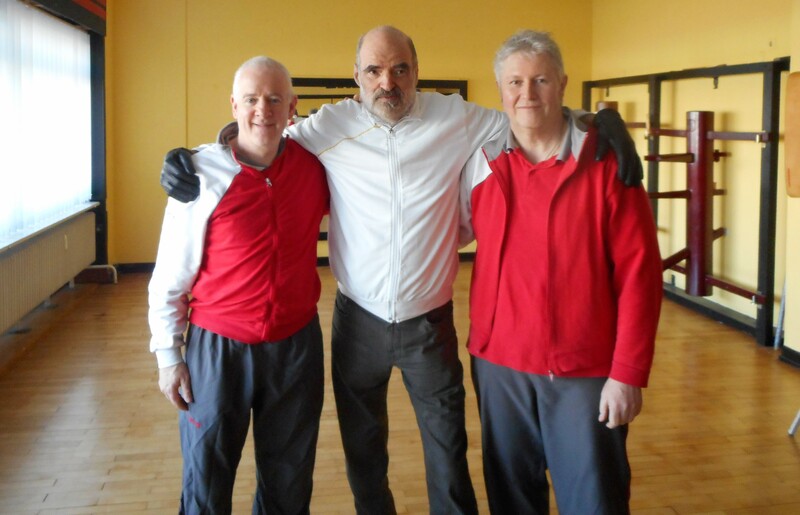 Sifu Aidan Canavan, Grandmaster Keith Kernspecht and Dai-Sifu Rainer Tausend at small group seminars in Inner Wing Tsun in Germany in March. 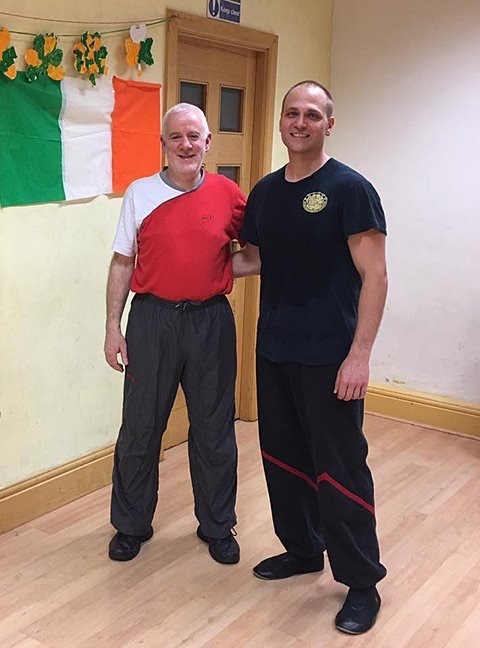 Sifu John Brusstar of Scottsdale, Arizona was in Ireland for St. Patrick's day and called into the Dublin city centre school to say hello and do a little training. 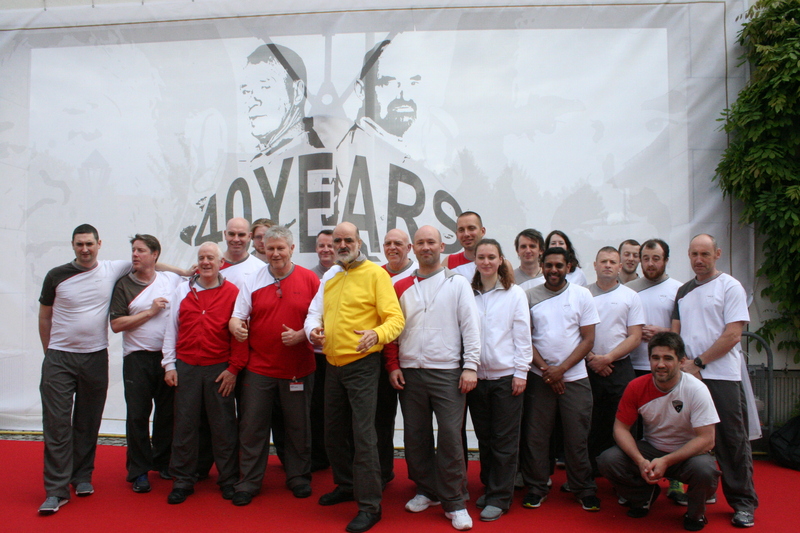 On Friday May 13th members of the IEWTO travelled from Dublin to Hockenheim for the EWTO 40th Anniversary. There's also a gallery of photos from the weekend here.